Thank you to all of you who entered Magpie and Button's birthday giveaway :) I have just drawn the winner from my trusty top hat, and it's Paper Addict Emma! 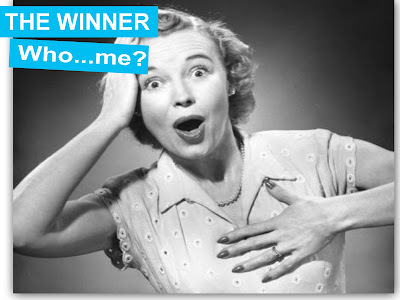 Well done Emma, you've won a custom, one of a kind Magpie and Button bracelet and a special bonus prize too. Thanks a million to everyone for entering. Keep an eye out for more giveaways and fun posts here, and in the meantime, check out my etsy shop for Spring button jewellery. Don't forget you can receive 20% OFF ANY PURCHASE for the whole month of March, by using the coupon code BIRTHDAY20 when you check out, on magpieandbutton.etsy.com Yay!!! I'm Beth, owner of Magpie and Button, and I've been creating unique bead and button jewellery for a number of years now. I started my Etsy shop back in 2009 as a bit of an experiment, but it went so well I kept it up and it's still growing today :) Ever since playing happily with the contents of Granny's button box as a little girl, I've loved and collected all kinds of vintage and new buttons. Now I'm sharing some of them with you by making them into pretty little pieces of jewellery. 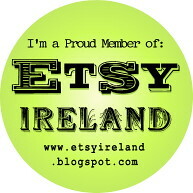 Visit my shop magpieandbutton.etsy.com to see some of my latest bits and pieces. Free Magpie and Button Bracelet!